Description: Radio astronomers study the radio waves produced by cosmic objects. Objects like comets, exploding stars, and even black holes in distant galaxies! But, radio waves made by your favorite radio station, your microwave oven, or even your cell phone can make it impossible to detect these much weaker signals from space. Where optical astronomers need dark skies, radio astronomers need “quiet skies!” On todays’s podcast we talk with Carla Beaudet, an engineer at the NRAO, who spends her days combatting radio pollution, or “radio frequency interference” as it’s known. 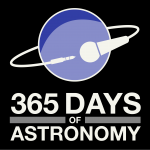 Today’s sponsor: This episode of “365 Days of Astronomy” is sponsored by Dana Peters, author of the iPhone application called Planets. Want to know which planets will be visible tonight, and where to look in the sky? This free application will help. Just go to iTunes and search for “Planets” to download for the iPhone or iPod Touch. 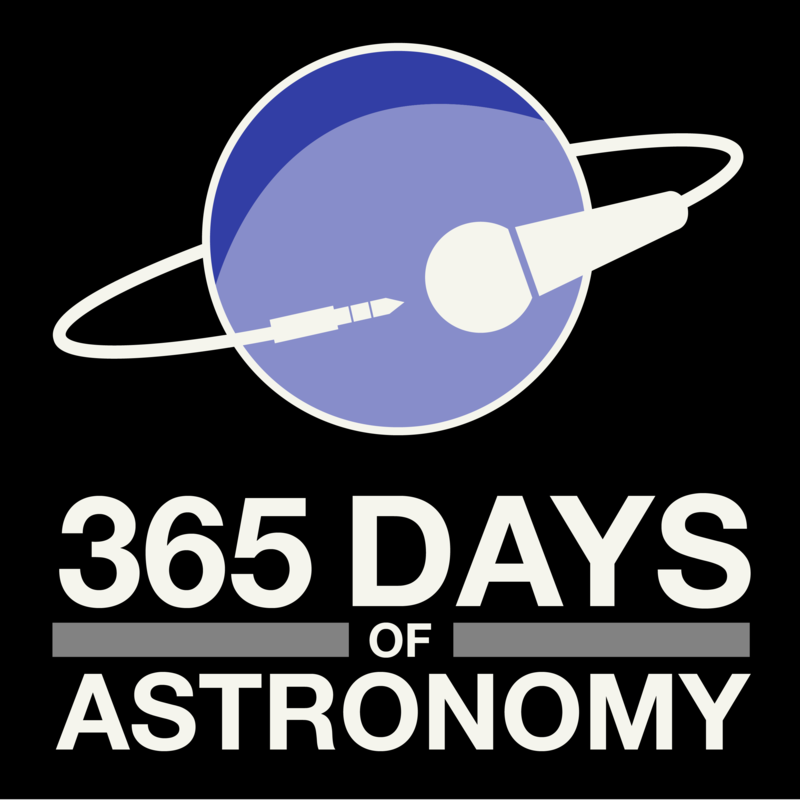 Sue Ann Heatherly: Welcome to this edition of 365 Days of Astronomy podcasts. My name is Sue Ann Heatherly. I work at the National Radio Astronomy Observatory in Green Bank, West Virginia. So, with me for this episode of 365 Days of Astronomy is Carla Beaudet. Carla is an Engineer at the National Radio Astronomy Observatory in Green Bank, West Virginia, and in, in her work here at the observatory, she specializes in radio frequency interference and how to get rid of it. So, welcome to the program, Carla. Thanks for joining us. Carla Beaudet: Thanks. It’s great to be here. Sue Ann Heatherly: I’m sure that the folks that listen to this podcast are astronomy enthusiasts, and they know full-well that if they want to look at some object through their optical telescope they can’t go to the Walmart Parking lot and do that, and that’s because of something called light pollution. Tell us about radio pollution and the issues that affect radio telescopes; how that’s similar to what affects optical telescopes. Carla Beaudet: Okay. Yes. Just… just the way of levels of light from the parking lot lights overwhelm the faint light from the stars, very strong radio signals can overwhelm the very weak celestial signals that the astronomers are looking for. Astronomers look for signals on the levels of Janskys. A Jansky is a unit of measurement, and it’s a very, very small amount of power. It’s one times ten to the minus twenty-six Watts per Hertz per meter squared, and that’s really tiny. Sue Ann Heatherly: Let’s put that into context a little bit. Those of you who are listening out there, get a piece of paper and draw a decimal point on your piece of paper. To the right of that decimal point, you need to draw twenty-five zeros, and then you get to put a one down, and then that’s Watts of power. And that is the measurement that astronomers use for what the apparent brightness is of objects in the radio part of the spectrum. A really bright object in the radio sky might have an apparent brightness of one Jansky, or even less. Contrast that with some other device that might, we might have in our daily lives, Carla, like a cell phone, for example. Carla Beaudet: Yeah, well, a cell phone will put out, oh… something of a level of maybe a hundred milliWatts; that’s a tenth of a Watt; that’s a lot stronger than these levels that the astronomers are looking for. Sue Ann Heatherly: So, we call signals from cell phones, and things like that, radio frequency interference. Can you give us a general definition for what RFI is? Carla Beaudet: Radio frequency interference is any signal that interrupts the reception of any other signals. And when you’re an astronomer, you’re trying to receive signals on the order of a Jansky, and you have much stronger sources with… than that to… to overcome in order to… to do that. Sue Ann Heatherly: And RFI is generally man-made signals, human-made signals? Sue Ann Heatherly: Give me some other typical examples of objects or things that cause radio frequency interference. Carla Beaudet: Well, you mentioned cell phones and, of course, there is radio transmitters and television transmitters, and… uh, radar, you know, uh… but these days we also have all kinds of, uh… digital electronics. And even if digital electronics are not designed to transmit – like, for instance, think about your laptop – because it’s digital electronics, it unintentionally radiates all kinds of energy across the spectrum. Sue Ann Heatherly: So a laptop is anther example, then, of something, if it were close to a radio telescope, could overwhelm the telescope? Carla Beaudet: Absolutely. A laptop, a digital camera, any piece of digital electronics, radiates at levels that are a problem for… uh… for radio astronomy when they’re anywhere… oh, within a few kilometers away. Sue Ann Heatherly: Give us an example of one of the weirdest things that you have ever come across in your work. Carla Beaudet: One of the most mysterious things that we tracked down showed up as a burst of energy across the whole spectrum every one second or so, and the weird thing about it was that this thing came on only at night. Then we’d come into work in the morning and the astronomers would tell us, “Hey, we’ve had this interference,” and we would go to look for it. We couldn’t find a thing. Well, one of our dedicated staff came out in the middle of the night and looked for it, and he found it. It turned out to be a bad knot in an electric fence, and this thing was on a dawn-to-dusk timer, so it was only coming on at night and… when… and all that we needed to do to fix it was to, you know, tie that knot a little bit tighter so that it made good contact. Whenever you have high voltage, like on a power line, or on an electric fence, and you have a contact that isn’t very good – like, if you get a little bit of corrosion in there – then the high voltage will jump from the conductor through the insulator into the conductor, and it will create a spark. Now, a spark is a very fast transition, and that has a lot of spectral content. So, you end up with broad, very broad noise all across your whole spectrum and, uh, very little clue as to what direction it’s coming from. Sue Ann Heatherly: So, you’re, you’re driving down the road – perhaps you have your AM radio on – and as you’re driving down a country road past all these poles, these power poles, you might actually hear some staticky sound coming from the power poles as you drive by, that’s what you’re talking about there? Carla Beaudet: That’s exactly it. Yeah. Sue Ann Heatherly: So, what do we do about this? You have everything causing radio frequency interference from cell phone towers to tv towers; but, in addition, garden fences and power lines, and things like that. How do we – how are we even able to do radio astronomy at all with all these sources of interference? Carla Beaudet: Well, it is pretty crazy, the scope of what can cause interference. Uh… I mean, you’re right, it’s just about anything, uh, but we have some special tools, uh, for this site here at Green Bank, and one of them is just our location. We’re pretty much surrounded by mountains, and that helps us a lot. We also are in a very rural area where there are, you know, less people, less stores, less gadgets, and that helps us. We’re also in the middle of something called the National Radio Quiet Zone, which was established in 1958, and that’s an area thirteen thousand square miles in area that, if you are installing a transmitter, you need to coordinate through our National Radio Quiet Zone office, and they will be able to do a study and tell you how much power you can transmit from the location that you’d like to set up that transmitter and still not interfere with us. We also have a ten mile radius, um, that’s based on a West Virginia law in which we’re able to ask that people not use things that interfere – anything at all, not just licensed transmitters, but anything at all that interferes with the observations. And here on site we have some very, very strong regulations as far as… as far as what we can do here. There’s no wireless networking, either at the laboratory itself or even in the housing that some of the employees at the observatory rent; also, no microwaves, because they are very strong unintentional radiators. Sue Ann Heatherly: If you ever have an opportunity to visit the control room for the Green Bank Telescope here in West Virginia, you will come into this huge copper box. The control room is a gigantic Faraday cage. Why is it a big copper box? Carla Beaudet: There’s a lot of electronics in our control room that would otherwise interfere with the very telescope that they’re… that they support, so they need to be contained in a big copper box. And we also keep our land equipment – our local area network equipment – up in that, that Faraday cage. And we have a lot of little Faraday cages about the site. There’s all kinds of controllers, like, air conditioning and things like that, that are housed in shielded boxes. Sue Ann Heatherly: And the reason why I brought up the control room is that there is a microwave oven in that control room, because our telescope operators work twelve-hour shifts, and they need to be able to eat a little popcorn from time to time. But, not only is the microwave oven in the big shielded box that is the whole control room, but it’s in its own little Faraday cage as well. Carla Beaudet: That’s right, because the large Faraday cage wasn’t effective enough to contain that energy, so we needed to take another step. Sue Ann Heatherly: That’s amazing. That’s really amazing. So, I thought as we end up our… our short little podcast here, Carla and I would share with you an experiment that you can try at home. You can actually be an RFI detective yourself and look for examples of radio frequency interference in your home. So, what are the kinds of things that they should be looking for and then we’ll explain the experiment. Carla Beaudet: Well, of course, your microwave – we mentioned that – and you might think about things that… that use radio waves to communicate. That might be your WiFi, or your… your iPod maybe; your cordless phone; maybe even the little key fob that unlocks your car. Carla Beaudet: Anything that… anything that seems like action at a distance to you, chances are it’s radio frequency. Sue Ann Heatherly: Okay. So, here’s how you are going to do this. The first thing you need to find is an AM radio that you can walk around with. You’re going to use your AM radio as an RFI detector; and you have to be able to walk around with it, of course, because you need to go to all of these devices that Carla mentioned and try and see if they emit radio waves. So what we’re going to demonstrate for you right now – we’re gonna… we have an AM radio with us. We’re going to turn that radio on and you’re going to hear static coming of the radio. Then, what we’re going to do is, we’re going to open up and turn on a cell phone. Now, here in Green Bank your cell phone won’t work. There’s no cell phone towers to talk to, because we’re in the Quiet Zone. But most of your cell phones have little lit up screens, and these very screens themselves can generate RFI. So, we’re going to try this for you right now. Carla, if you will take the radio there and turn it on. And now we’re going to turn on the cell phone. I’ve moved the cell phone away from the radio. Now I’m going to move it closer. So, this little cell phone here, even though we’re not talking to anybody, is generating RFI. So, I’ll turn it off now, cause that’s pretty obnoxious. So, if this cell phone were right next to our big, gigantic radio telescope, even though you couldn’t talk to anybody with it, it might still cause an astronomer a problem just by being on. Is that right? Carla Beaudet: Oh, absolutely. If it was close enough, it would. And by close enough, that could be a kilometer away. Sue Ann Heatherly: So, we hope that in this little episode of 365 Days of Astronomy, that those of you that are seekers of dark skies realize that, uh, in the world of radio astronomy, we need quiet skies in order to do the same work. Thank you very much for joining us today, Carla. We really appreciate you taking the time. Carla Beaudet: Thank you. It’s been fun.